I cleaned out my closet recently, only to discover I have no shirts in red, emerald, and orange. Because of that, this past week I went to my favorite stores; Intermix, Otte, and Joie. While I was shopping, I bought three new shirts in all those colors. I love having a variety of different colors to mix and match! I tend to wear a lot more colors during the Spring and Summer too! I love this blouse I picked up from Otte. 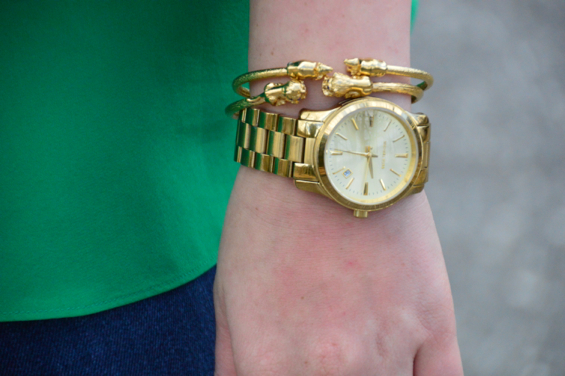 The simple cut makes it a versatile piece, but is chicer and bolder with the emerald color! (Emerald is the Color of the Year, too!) 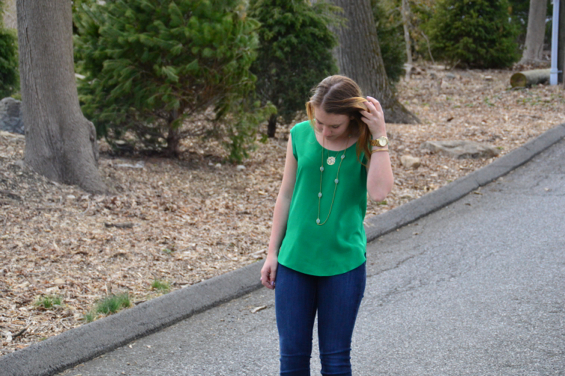 I paired with simple jewels and a fun, colorful pair of heels! I have to add, I am obsessed with these shoes! The lucite heel and colorful metallic are a super fun! 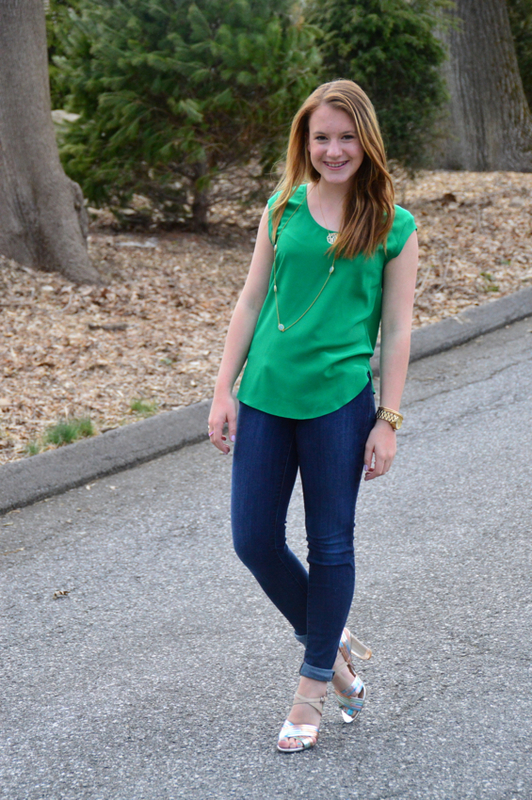 The color of the shirt is absolutely beautiful, and those heels are so fun! Love this outfit. That top looks great on you. Gorgeous colour.